In this NAB 2019 Special we are featuring new product releases and firmware updates from Sony, Atomos and SmallHD. Sony announced the new HDC-5500 a 2/3 inch 4K broadcast camera, an ENG kit that transforms your FS7 or FS7 II camcorder into a broadcast production camera, version 4.0 firmware for the VENICE which brings new high-frame rate shooting modes, the HXR-MC88 their latest entry-level HD camcorder, new SxS Pro media and SxS Pro card reader/writer, new firmware 3.0 for their PXW-Z280 and Z190 camcorders and a new UWP wireless microphone series. 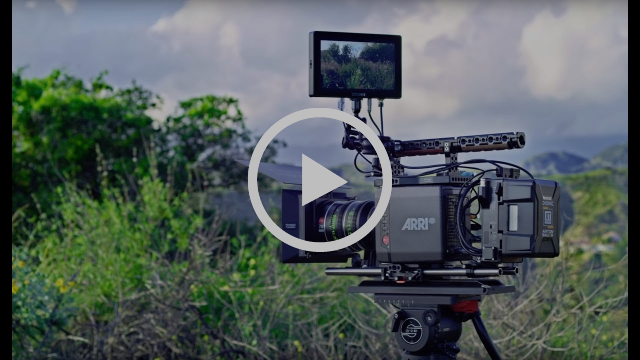 Atomos announced the Shogun 7, a new 7-inch HDR recorder/monitor and SmallHD announced the new SmallHD CINE 7 a new flagship professional 7 inch monitor with ARRI camera control. Do you want to know what a camera sensor does or do you want to know why everyone raves about a ‘shallow depth of field’? Do you get confused with the sheer variety of cameras available and would you like to order gear that gets used and doesn’t lie idly by because the ‘speed’ of a lens isn’t correct? Would you like your questions answered from a cameraman who has been there and used the kit? If you're not already signed up, click on the link below for more information about the upcoming event and to register. Join us for a very special LIVE STREAMING Q&A with BAFTA nominated director Piotr Szkopiak and cinematographer Edward Ames GBCT as they explore the making of their multi-award winning feature film The Last Witness. Prices, specifications and images are subject to change without notice. We are not responsible for typographical or illustrative errors. Terms and conditions apply to all offers and promotions. Manufacturer rebates, terms, conditions and expiration dates are subject to manufacturer's printed forms. All offers subject to availability and while stocks last. Copyright © 2019 Visual Impact UK LTD, All rights reserved.